(George) Bernard Shaw (July 26, 1856 – November 2, 1950) was an Irish playwright who, at the height of his fame, won the Nobel Prize in Literature as well an Academy Award for screenwriting. (Shaw never used his first name "George" personally or professionally: he was "Bernard Shaw" throughout his long career. Since his death it has become customary to use all three of his names, even in reference works.) Shaw is often cited as the most frequently-staged playwright after William Shakespeare. Although this may be a slight exaggeration, Shaw is unquestionably the most important playwright in the English language since the Bard. Influenced by Ibsen and other modern playwrights, Shaw introduced a new, realistic style of drama to the English theater. Unlike Ibsen, Chekhov, or even Eugene O'Neill, however, Shaw is unique among modern playwrights because of his ferocious sense of humor and his pervading (if vague) belief in a higher morality. Although his plays, like those of his contemporaries, dwell upon shocking and often gloomy subject-matter, Shaw is perhaps the only major playwright of his generation to navigate the horrors of the first half of the twentieth century without falling into pessimism and despair. His plays, at times fiercely ironic, and at times heartrendingly sincere, are among the most entertaining, enduring, and moving works of high drama ever produced in the English language. Like many modern intellectuals, Shaw was a committed socialist throughout his life, disdaining the commercialism of capitalism and believing that socialism would cure what he saw as the excesses of capitalism. Also like many modern intellectuals, he criticized human hypocrisy in the area of religion but failed to see the potential for hypocrisy and corruption in socialism, which would ultimately undermine the whole experiment. 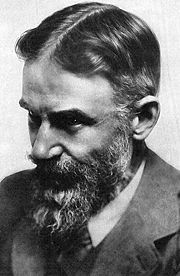 Born at 33 Synge Street in Dublin, Ireland to rather poor Church of Ireland parents, Shaw was educated at Wesley College, Dublin and moved to London during the 1870s to embark on his literary career. He wrote five novels, none of which were published, before finding his first success as a music critic in the Star newspaper. He wrote his music criticism under the pseudonym, "Corno di Bassetto." Shaw completed his first play, Widower's Houses, in 1892. The play, inspired by an 1890 production in London of Henrik Ibsen's All Doll's House, features a number of aspects of Ibsen's style: unadorned dialogue, a realistic plot, and controversial subject-matter. In Widower's Houses, however, Shaw turned material that could have been tragic—the play is about a young man who falls in love with a wealthy man's daughter, only to discover her wealth comes from the exploitation of the poor—instead maintaining a constant note of ironic hilarity that saves the work from becoming excessively overbearing. Although clearly an immature work compared with Shaw's later masterpieces, Widower's Houses and its immediate successor Mrs. Warren's Profession (about a daughter who discovers her mother's history in the prostitution industry) are still enjoyed by audiences today while many other, grimmer works of modern theater have fallen out of favor. Many of his earliest works had to wait years to receive major productions in London, though they had found an appreciative audience on the European Continent. Shaw called the Widower's Houses and Mrs. Warren's Profession his "unpleasant plays" because they forced the audience to confront unpleasant aspects of London life; he followed these up with his four "pleasant" plays, Arms and the Man (1894), Candida (1897), The Man of Destiny (1898), and You Never Can Tell (1899). Of these, Arms and the Man—a satire of overwrought Romanticism in the dramatic setting of the Balkans—has become the most popular. Typical of Shaw, the play pokes fun at the beliefs of his time, particularly the excessive romanticizing of passionate love and glorious warfare. Shaw's first financial success as a playwright came from Richard Mansfield's American production of The Devil's Disciple in 1897. His most significant play, however, would be 1901's Caesar and Cleopatra. The play, a modern re-envisioning of the Shakespeare's masterpiece Antony and Cleopatra, repeats the themes of Shakespeare's classic tragedy but with a decided twist: In Shaw's version, Caesar is dramatically aged and Cleopatra an impulsive girl of 16. The play contrasts Caesar's thoughtfulness. Contrary to almost any prior artistic depiction, the emperor is portrayed in Shaw's play as moody, philosophical, an almost reluctant soldier and leader—compared with the impulsive and impossible capriciousness of the childish Cleopatra. The play is the first of Shaw's to introduce his theories of "original morality." Caesar is portrayed as a man of ethics and wisdom rather than an almost-superhuman soldier-king. It is easily one of Shaw's most influential works. From 1904 to 1907, several of Shaw's plays had their London premieres in notable productions at the Court Theatre, managed by Harley Granville-Barker and J.E. Vedrenne. Shaw would finally find wide success in his native Britain after John Bull's Other Island (1904), a comic piece about Ireland, was performed at court. During the performance, King Edward VII laughed so much he broke his chair. In 1907, Shaw followed-up on this success by writing and producing what many believe to be his most controversial play, Major Barbara, which has become notorious for its scurrilous criticism of Christianity and the Salvation Army. The play focuses on a wealthy business mogul, Andrew Undershaft, who has made his fortune manufacturing weaponry. Towards the end of his life, Undershaft is reunited with his estranged wife and their three children Charles, Susan, and Barbara. Barbara tells her father that she is a Major in the Salvation Army; as a child, Undershaft was an orphan raised in a Salvation Army shelter, and he is so impressed with his daughter's success and moral good sense that he asks her to become his heir. Barbara, however, abhors her father's business, believing it to be immoral. Undershaft resolves to show his daughter the darker side of "Christian charity," and offers a large donation to the Salvation Army, which Barbara's superior eagerly accepts despite its source. Disillusioned by what she sees as the Salvation Army's hypocrisy, she leaves her post at the shelter in tears to assist her father and her husband at the munitions factory. Major Barbara's shocking themes are particularly notable because of the socialist subtext which Shaw inserted into the play. Shaw was an ardent socialist through most of his life; he abhorred capitalism and what he saw as the corrupting influence of capitalist greed. Although he suggested socialist ideas through a number of his plays, nowhere was he as explicit as in Major Barbara, where he makes the argument that even Christian charity isn't immune from the infectious avarice of a capitalist society. By the 1910s, Shaw was a well-established playwright. New works such as Fanny's First Play (1911) and Pygmalion (1913)—on which the successful musical and film My Fair Lady was based—had long runs in front of large London audiences. Shaw opposed World War I, becoming unpopular with many of his fellow citizens. His work after the War was, in general, darker, though still full of the Shaw's typical wit. His first full-length play after the war, written mostly during it, was Heartbreak House (1919). In 1923, he completed Saint Joan (1923), a play on Joan of Arc that celebrated the French saint's visionary morality, bringing him international fame that led to his Nobel Prize in Literature. Shaw continued writing plays into his nineties, but very few of them were as notable—or as often revived—as his earlier work. Many of Shaw's published plays come with lengthy prefaces that have become famous themselves. Shaw's prefaces tended to be essays that dealt more with Shaw's opinions on the issues addressed in the plays than about the plays themselves. Some prefaces are much longer than the actual play. For example, the Penguin edition of his one-act The Shewing-up Of Blanco Posnet (1909) has a 67-page preface for the 29-page piece. Shaw died in 1950 at the age of 94 due to a fall from a ladder. During his lifetime, Shaw maintained correspondence with hundreds of personages, and his massive correspondence has become a major aspect of his enduring literary fame. His letters to and from Mrs. Patrick Campbell were adapted for the stage by Jerome Kilty as Dear Liar: A Comedy of Letters; as was his correspondence with the poet Lord Alfred "Bosie' Douglas (the intimate friend of Oscar Wilde), which was turned into the drama Bernard and Bosie: A Most Unlikely Friendship by Anthony Wynn. His numerous letters to such varied figures as the actress Ellen Terry, the boxer Gene Tunney, the IRA leader Michael Collins, and the authors H.G. Wells and Henry James are among those that have been published. ↑ University of Pennsylvannia, Bernard Shaw: a Brief Biography. Retrieved June 14, 2007. Works by George Bernard Shaw. Project Gutenberg. History of "George Bernard Shaw"
This page was last modified on 13 June 2017, at 21:35.